Within our gated community, you'll find two refreshing swimming pool, a fitness center and covered parking. 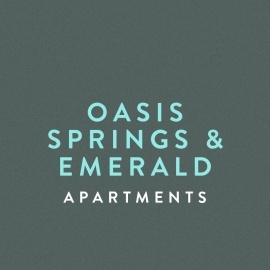 Oasis Springs is conveniently located in northeast Las Vegas, minutes away from Interstates 15 and 215, as well as Nellis Air Force Base. Our location places you minutes away from Las Vegas' best dining, shopping and entertainment venues. Be advised that income verification may be required prior to move in. Se habla Espanol.